The Squire Farm is a small farm in the secluded, peaceful surroundings of the Redlake Valley in the southwest corner of Shropshire, near to the Welsh border. We have two beautiful and unique self-catering holiday cottages, which are dog friendly and provide door-step walking or bike riding. Xidong is a romantic little japanese-styled self-catering cottage for two, with a hot-tub in the garden. 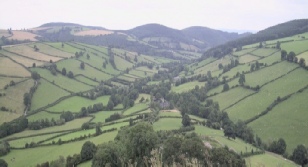 Ideal for a week-end getaway or for a vigorous walking holiday among the beautiful South Shropshire Hills. Squire Cottage sleeps four people in two rooms. 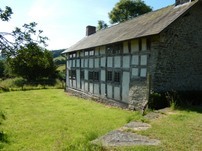 It is full of wooden beams and floors and has an open fire in a huge inglenook fireplace. You can walk straight from the door into wonderful country with spectacular views. 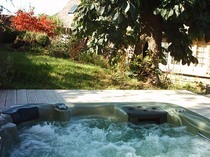 Squire Cottage 15% off the regular holiday price until 4th April. Only a few weeks left now!